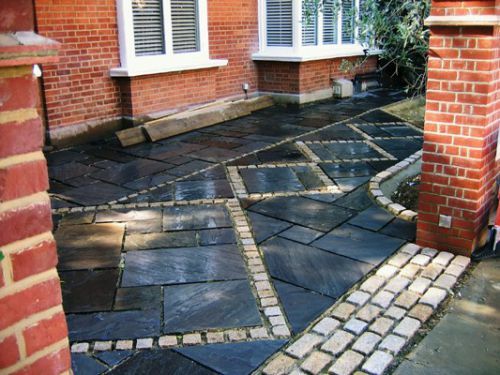 Driveway, patio and side alley all paved with black sandstone and barley colour granite. 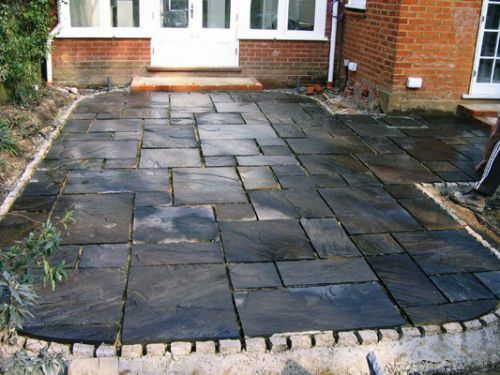 Back patio paved in black sandstone before finished pointing. 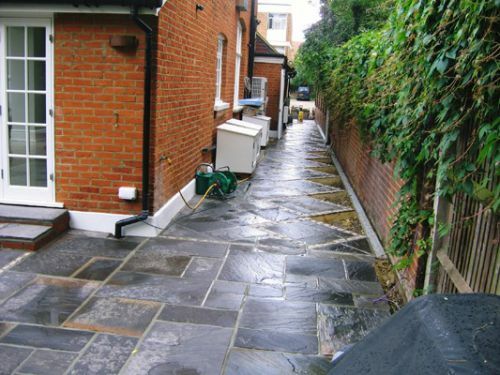 Alley paved with diamond shapes inset in granite along the whole length. 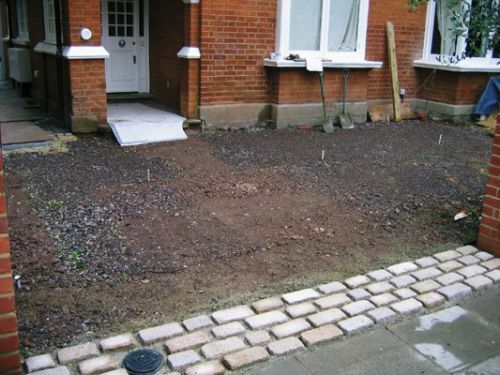 Front edging in as well as foundation. 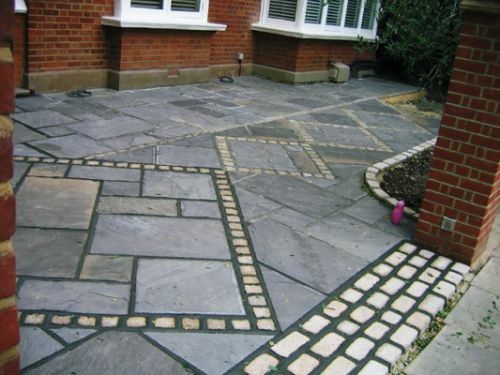 Driveway finished in black sandstone with granite diamond shapes inset. Wet look on the driveway.